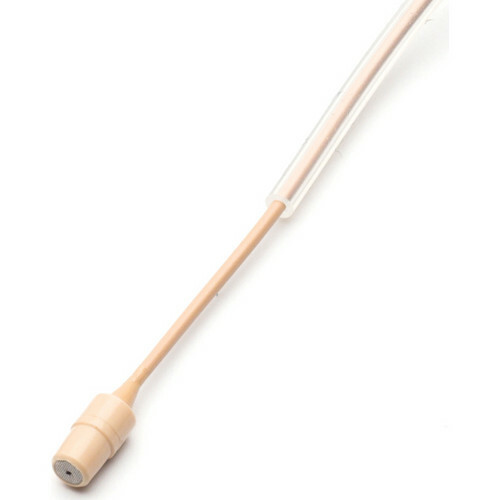 The light tan-colored Countryman E2 Directional Earset Microphone with TA4F Connector from Shure features a hypercardioid polar pattern to provide excellent isolation. Its design is similar to the E6 Earset Microphone, but with a much shorter boom. The cable is equipped with a TA4F connector which makes the mic compatible with Shure wireless transmitters. Box Dimensions (LxWxH) 9.2 x 5.3 x 1.4"